Why does my child get tooth decay? Sounds simple but the devil is as always in the detail. When your child has anything containing sugar to eat or drink a few things happen. Over then next 6 hours approximately the saliva gradually replaces the calcium that was lost in the acid attack. This is the full cycle of sugar attack, decay and then repair by the bodies natural defences. You can work it out that the more sugar exposures you have the more decay you get. Given it takes around 6 hours to repair the damage from just one sugar attack, 4 or more attacks in one day can mean that your child will develop tooth decay. The key thing here is the frequency ( total number per day ) of sugar attacks dictates whether or not you get decay that progresses to an actual hole that needs to be filled. What will cause more damage to your child’s teeth ? Does brushing immediately after eating something sugary help stop tooth decay? So does brushing really prevent tooth decay at all? Yes it does, by brushing you will reduce the total number of bacteria in your mouth, this means that less acid will be produced from a sugar exposure. Less acid means it will take less time to be neutralised and so do less damage. 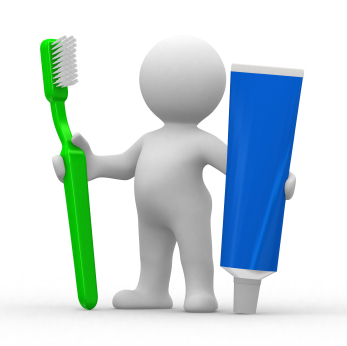 Also tooth paste contains fluoride which speeds up the repair process and gradually is incorporated into the tooth to strengthen it. My kids don’t eat sweets / candies but sill get decay…why? Sugar is hidden in many forms, even picking away at fruits or berries can cause problems but that is a subject for another days post. 5 things every parent needs to know to protect their children's teeth. Should My Child Wear a SportsGuard or Gumshield? What age should I let my child brush their own teeth?